Nicole of Soil and Stem and I worked on this styled shoot together. 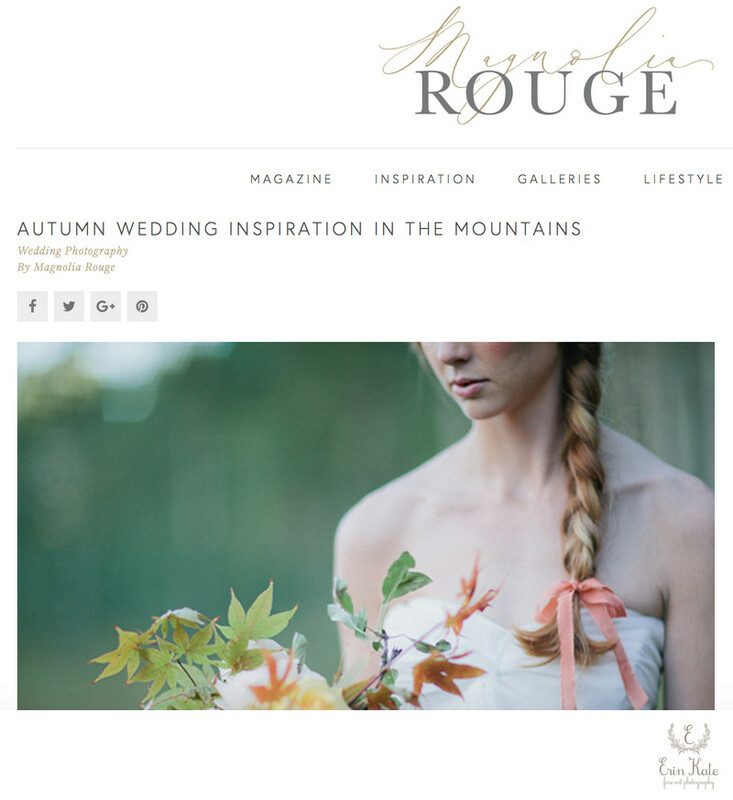 It was an honor to have it featured on Magnolia Rouge. Here is an excerpt from the feature written by Nicole. "There is something so special during this time of year, when the heat of summer fades just before the earth turns hard and cold. It is this moment. The moment before frost, before leaves change and die, before the first sign of winter - it is this transition, the transition from summer to fall that drove the inspiration behind this shoot. Our bride is traditional, yet wild-hearted. She craves the mountain air and yearns to run barefoot through the meadows; however, she is torn in her thoughts, and feels she should refrain from being too spirited. We paired elegant and feminine elements with natural and masculine details. We really loved the balance created between the two: this moment recreated through hard and soft styling. Delicate touches mirrored through flowing grasses, shifting chiffon dress, beautiful calligraphy, and the sweetest silk hair bow. Our masculine influences grounded us in the form of woolen heirloom blankets, leather boots, local fruit, nuts, and cheeses, and even through "man's best friend." The color of honey was subtly woven through our shoot. From the ink, to champagne and flowers, this color was representative of our 'moment' once more, in this instance, the moment before the trees change from golden-orange to red-brown. We hope this inspiration resonates with those autumn brides who appreciate this moment in time, and whose love of nature doesn't overpower elegant style and sophisticated taste."